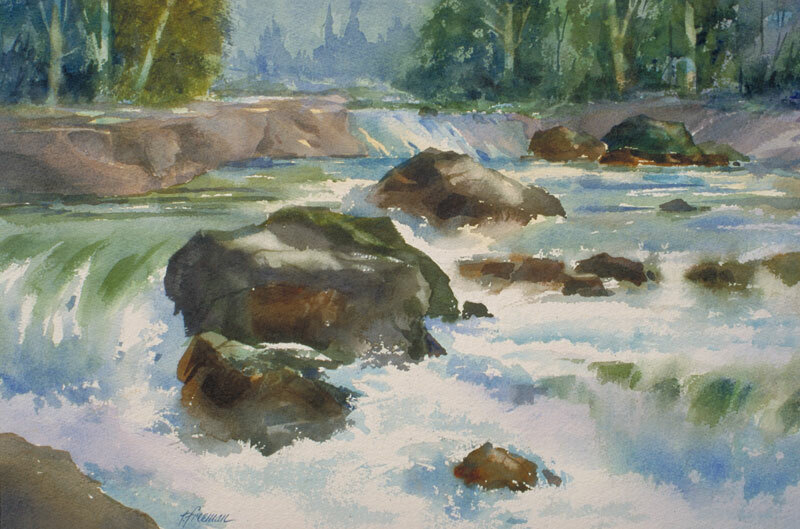 Thomas Freeman Original Watercolor Painting: "Sierra Runoff"
This painting is from a photo I'd taken looking up the Silver Fork of the American River. I illustrated the pounding, frothy river by the bottom edges of the rocks. Where the dark shadows hit the white foam you get a roughness to show the water action. This was accepted into the 2002 Annual Show for the Society of Western Artists.